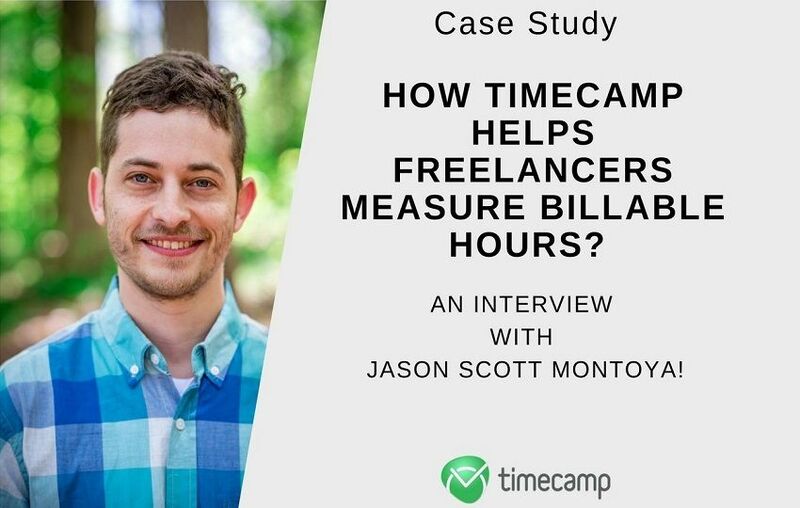 Home » Case Study: How TimeCamp Helps Freelancers Measure Billable Hours? An Interview With Jason Scott Montoya! Being a freelancer is not an easy job, despite the common belief. It is particularly difficult when you have to measure work hours to be able to bill your clients properly. It is one of the biggest challenges, especially when you work on multiple projects or when you are a beginner. However, with the use of right tools, it is as easy as pie! Check out our short interview with Jason Scott Montoya, a freelancer sharing his wisdom and experience with other people. He helps grow small business income, teams, and owners. 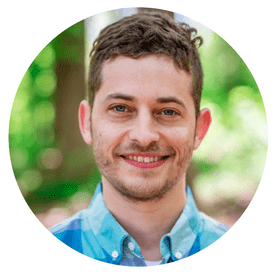 In his work, Jason uses TimeCamp. We decided to interview him and find out why and how he uses the software. 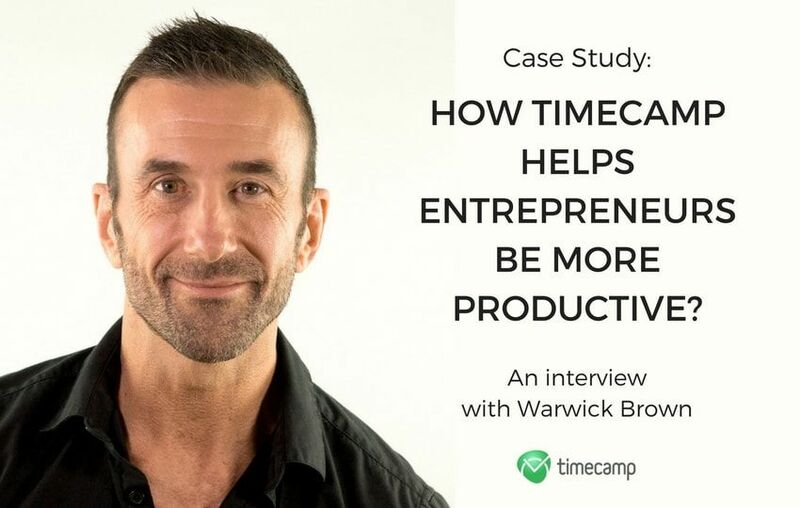 Enjoy the read and find out how TimeCamp can help freelancers measure billable hours! As a full time freelancer (working with digital small businesses), I’ve found a daily routine is important to succeeding in the vocation without burning ourselves out. For me, this starts with enforcing my goal to not start my work day until at least 8:30 am. And my work day would be defined by finding new customers or working on existing paid client projects. Once I’ve started, there are three actions for launching my day. First is a moment of prayer expressing my gratitude for God and his provision. This expression anchor point of thanks allows me to put my self and day in perspective as I move forward. Next, I’ll review my calendar for today and tomorrow as a reminder of what I have coming up so I can plan and act accordingly. The final task I knock out on my daily work ramp up is wishing all my friends and colleagues on Facebook and Linkedin happy birthday. By day’s end, I want to ensure I capture and move prospective clients forward in the sales process and process all communications (email, voicemails, and text & social messages). With my clients, I bill hourly in batches of ten hours, so at the end of each day, I log how many hours I have left with each client in my freelancing dashboard. While in there, I also update the client status (active, roadblocked, invoiced, paid, etc.) and any other relevant notes. My daily top tier goal is to log 5.75 paid client hours each day, and at the end of the day, I’ll review how well I succeeded or failed in this endeavor. As the week progresses, I’ll see if the accumulation has hit my weekly goal and the same goes for the month and year. As my final step in mentally closing out my day, I’ll browse through my Feedly account viewing news, entertainment, and insightful information. Ideally, I’ve finished my work and this entire process by 6:00 pm. To help me move these actions along during the day, I leverage the habit management tool Habitica. As I share my routine, I’m describing it as it ought to be. But, I don’t always make it happen. Sometimes I fail by a small amount while other times I fail miserably. But, having a standard to strive towards gives me inspiration each new day to move towards a stronger start and finish. Get clear on and watch your focus metric (how you rate success simplified into a daily number) and the supporting actions that drive it forward. My focus metric is logging 5.75 paid client hours each day which leads to ~28/week, 122 per month, and 1,464/year. This number accumulates the amount of money to accomplish my top tier annual financial goal (define before starting your venture). My supporting actions include actually doing the work and logging those hours while also taking the actions (blogging, social media posts, networking events, & meetings) required to maximize existing clients and find new ones. I want to know at the beginning of my day (and month) where these hours are going to come from and if I need to find more. Once I have this knowledge, I simply respond accordingly. I can’t recall exactly, but my fuzzy memories link it to either a search engine or a website referring the tool. As part of my process, I evaluated several options. I had been manually logging my time with a spreadsheet, so I had a particular way of organizing and logging my time that established requirements for selecting the tool. After evaluating several time tracking apps, TimeCamp was the one I landed on. Every day I’m working, I’m using both the PC desktop timecamp widget and the website interface. Since I bill my clients hourly, I want to quickly and easily log that time and the widget makes it simple to not only do this but also switch between clients and projects. Inside of TimeCamp, I’ve set up each of my clients as a project and some of them have subtasks if I’m working with a customer in multiple areas of their business. As I’m invoicing my customers, I add the number of hours invoiced on the project name so when I run reports, I can compare the actuals to the amount of hours billed. This prevents me working more hours than they’ve agreed to and triggers me to send communication updates along the way. The reporting is critical to my efforts. I check in each day, week, and month to compare the actual with my goal and pacing. I’ll then revamp my activity plan to speed up or down based on how to best meet my objectives. For example, if my week has started off slow and mid-Wednesday, I realize I won’t hit my goal at the normal 5.75-hour pace, I can accelerate the number of hours I log during the remaining time period so I can still hit my goal. The reports, especially custom, are helpful for looking at the data in different ways. And since I’ve been logging time in TimeCamp since 2016, I’ve got a lot of data to look at. I plan to dive in deeper seeking answers to the average lifetime of a client, and the seasonality of client work. While I do get a great amount of value from the tool, I’m only scratching the surface of what it can do and how it can serve companies since I strictly use it in my freelancing work. If you’re running a business, there’s more to explore. TimeCamp is obviously friendly to individual freelancers like myself with the free forever plan. With a solid computer, mobile, and web app it’s also easily accessed from any device. I recommend TimeCamp as the go-to time tracking tool for companies I work with, and I also write about the software on my blog. If you’re looking for a solution, a comprehensive option is in front of you. In this day in age, there are so many entrepreneurs launching businesses every day. This leads to an abundance of tools that essentially do the same thing. In this type of world, I think it’s important to communicate in a personal way that talks about WHY you started the company, the philosophy that undergirds HOW you’ve constructed the software, the TEAM who brings it to life, and the TYPES of people and companies that get the most benefit from your toolset. Consistently communicate this over time and serve your existing clients with excellence, and you’ll build a successful company. Jason Scott Montoya is a full-time freelancer, author of Path Of The Freelancer, husband, and father (4) located in Atlanta Georgia. He helps grow small business income, teams, and owners. On his blog, he shares stories & systems to live better & work smarter. 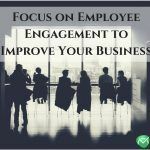 Case Study - How to Boost Employees Engagement and Improve Your Business?